Puerto Rico was recently hit by two consecutive Category 5 storms, leaving the islands in shambles and majority of the houses are without any electricity. To compound the problem, the Puerto Rico Electric Power Authority (PREPA) is in no position to repair the damaged infrastructure. The company had financial problems and filed for bankruptcy in July. The Caribbean storms are a strong reminder that renewable energy using microgrids are a necessary solution. Using microgrids, communities can be self-sufficient with their energy and they can trade up and down the system with the primary energy utility. Amid the cleanup and repairs, city planners and experts see that this is a chance for Puerto Rico to start from scratch regarding their electric supply. They cite what happened in New York after Hurricane Sandy, and in New Orleans with Hurricane Katrina. According to Otis Rolley, regional director for North America of 100 Resilient Cities, it is an opportunity for Puerto Rico to reimagine their energy system in a bold and innovative way. The current system is heavily dependent on imported fuels and there is practically no initiative for renewable energy. Renewable energy users exist in Puerto Rico. Hector Santiago, a flower grower with a 40-acre nursery, installed 244 solar panels six years ago. This cost him a total of about $300,000. Although Hurricane Maria damaged 25% of his solar panels, he still has enough power to run his business while the rest of the islands is running on diesel backup generators. Of greater damage than the island’s electric production was the damage to the transmission lines. It lost 75% of all its lines, and this will take a lot of time and money to rebuild. 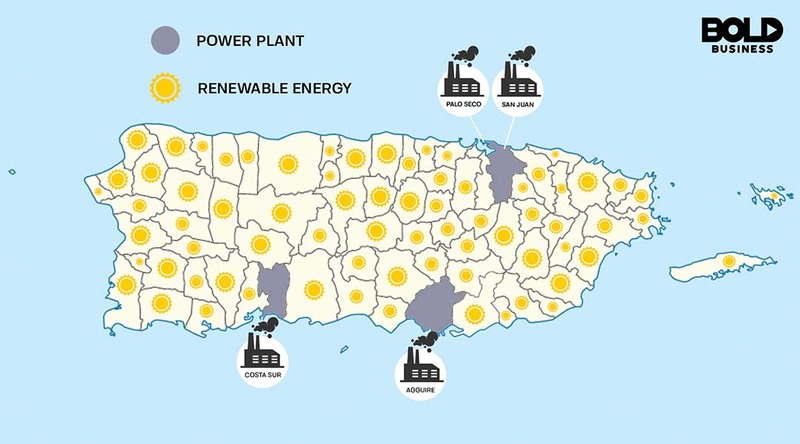 The island scenario is of concern not only to Puerto Rico and the United States but also to the rest of the world, specifically island nations which are also isolated and require energy self-sufficiency. Other Caribbean islands sustained damage, totaling an estimated $40 billion in losses. Aside from Puerto Rico, other islands in the hurricane’s path included Antigua, Barbuda, Dominican Republic, the Virgin Islands, and Cuba. Recently, the Initiative for Renewable Island Energy (IRIE) held its inaugural meeting in the Maldives, an island nation in the Indian Ocean. The IRIE is a partner of the International Renewable Energy Agency (IRENA) with goals to enhance coordination, and harness partners to help islands make a transition to renewable energy. To achieve this goal, IRIE needs to enhance political coordination. It also requires development partners for mobilizing resources to allow island nations a rapid migration to renewable energy. 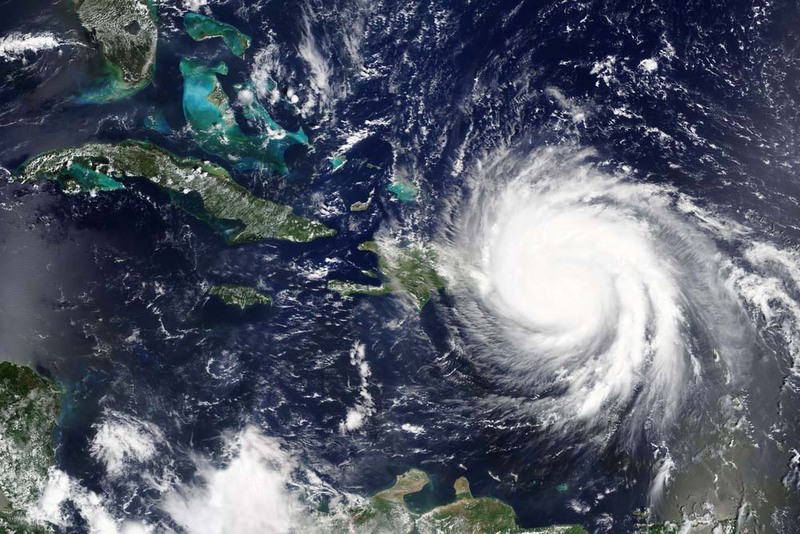 The Caribbean storms are a strong reminder that renewable energy using microgrids are a necessary solution. Using microgrids, communities can be self-sufficient with their energy and they can trade up and down the system with the primary energy utility. Using solar panels and wind turbines, along with batteries, the power can keep flowing even in times of emergencies. Island-wide transmission issues would not be a problem since communities have their own energy source. This solution has been proven in areas which are smaller than Puerto Rico. 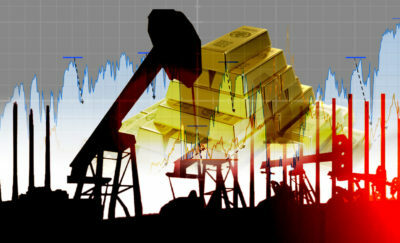 However, scaling down or up is relatively easy. Microgrids are inherently modular, and it can connect to the main electric grid as a unit, or the members can also connect on their own.